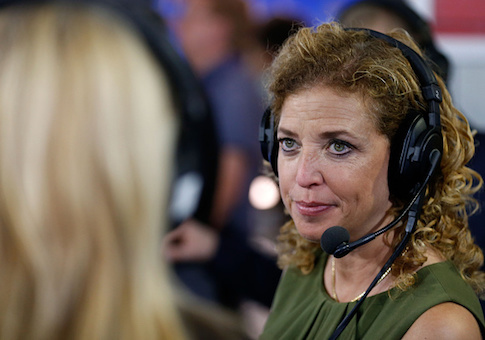 Imran Awan, former IT aide to Rep. Debbie Wasserman Schultz (D., Fla.), was indicted Thursday on charges of bank fraud and making false statements. Awan's wife, Hina Alvi, was also indicted by a U.S. District Court grand jury, Fox News reports. Awan was arrested last month at Dulles International Airport while trying to board a flight to his native Pakistan. Awan and several coworkers have been under suspicion for months, specifically concerning the theft of computer equipment from House lawmakers' offices. Federal authorities have been concerned about double billing, equipment theft, and access to sensitive computers. While most of her colleagues fired Awan in February, Wasserman Schultz retained his services through July. The indictment alleges that Awan and his wife obtained home equity lines of credit from the Congressional Federal Credit Union using false information. They then sent money from the loans home, to Pakistan. The ongoing scandal surrounding Awan has been embarrassing to public Democrats, especially Wasserman Schultz, the former chair of the DNC. While they retained his lucrative services, House Democrats paid Awan some $4 million. Congressional Republicans, meanwhile, have begun an investigation into Awan and his coworkers' misconduct. This entry was posted in Politics and tagged Debbie Wasserman Schultz, Imran Awan. Bookmark the permalink.